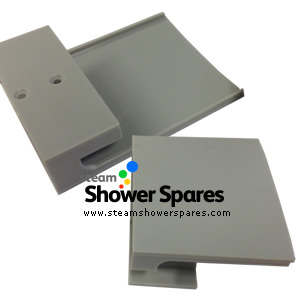 Set of 4 light grey plastic end caps deisgned to fit over the top and bottom ends of the front upright pillars of showers and steam showers. 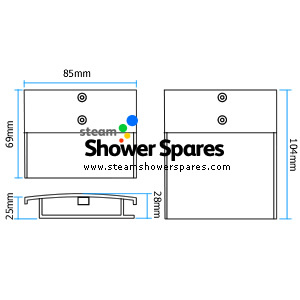 This part fits the end of the silver framework to enable them to be connected to the front curved frame sections of your shower. This set comprises of two different sized caps for upper and lower position.